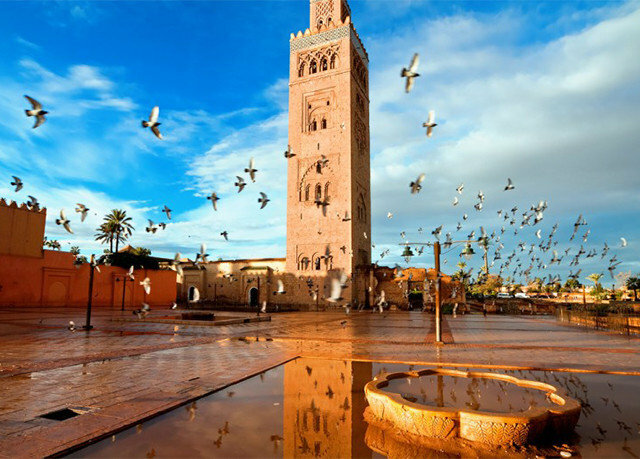 In a city where new big-name hotel openings are grabbing the headlines every year, nothing beats the intimate experience of a traditional riad stay. 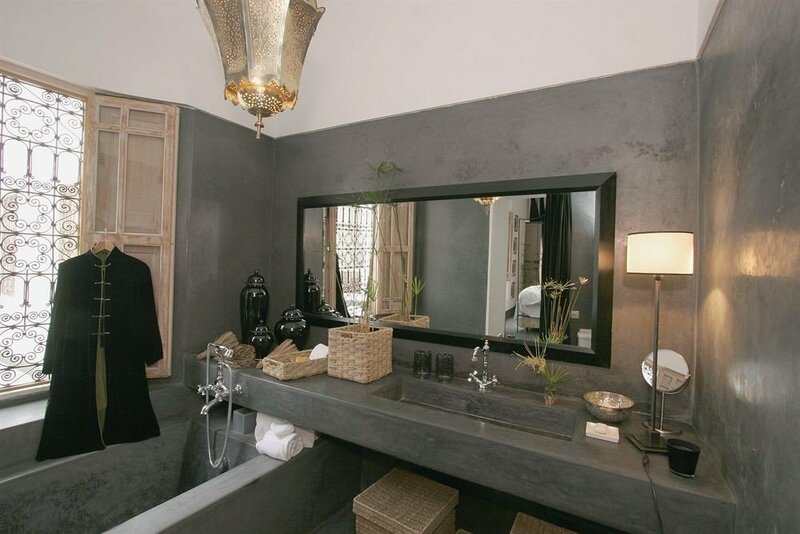 And there aren’t many of these that can boast an outdoor pool, roof terrace, full-service spa, statement-making décor, and outstanding location just a seven-minute walk from the dizzying action at Djemaa el Fna square. 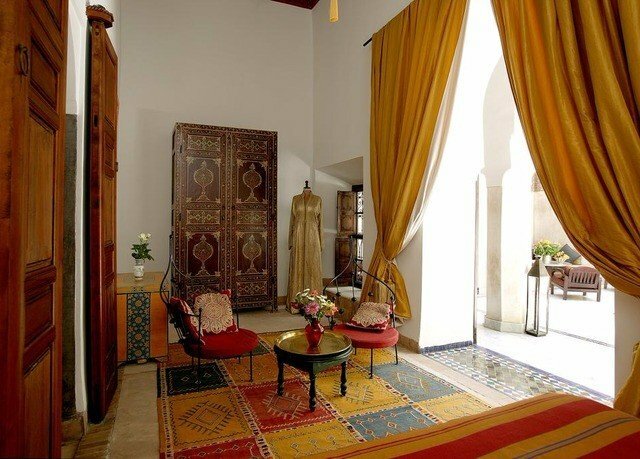 But this atmospheric Red City four-room riad is a real game-changer, mostly for its individually-designed and airy rooms that offer simple amenities yet thrill with a generous dose of over-the-top Moroccan décor and design. 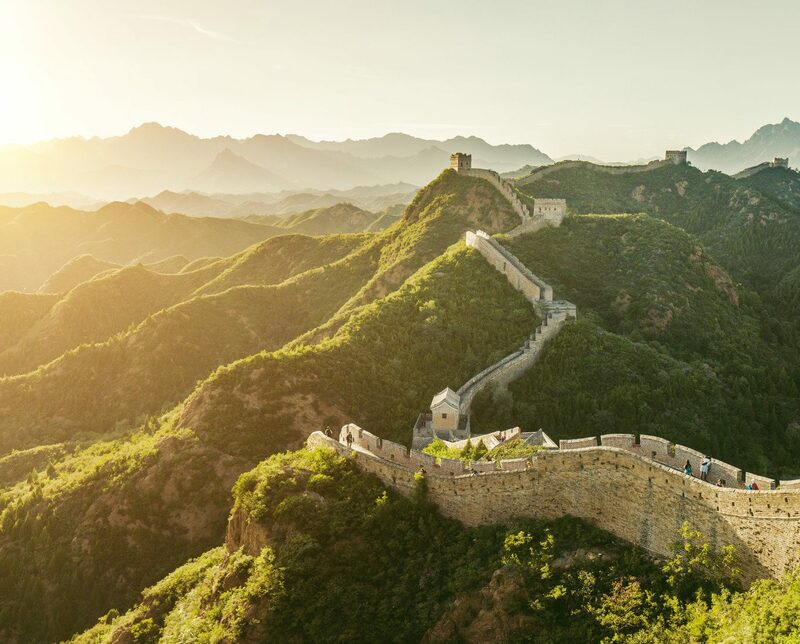 For those who want to stay holed up in luxury for as long as possible, there’s rich colour schemes, bespoke furnishings and super-comfy beds – some of which are four-poster. 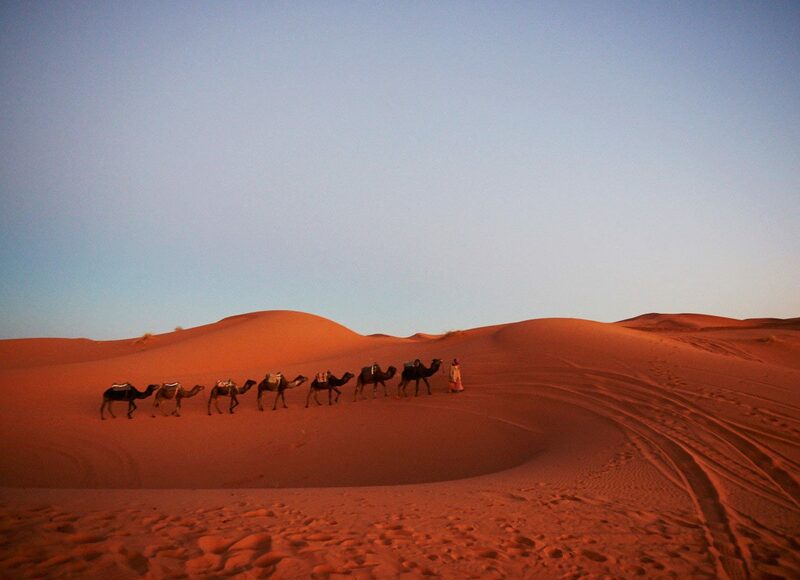 Days here can be spent bartering for silks, slippers and carpets at the famous souks, relaxing in the gorgeous Jardin Majorelle gardens that were once owned by Yves Saint Laurent, and seeking out gastronomic thrills in the French Quarter. 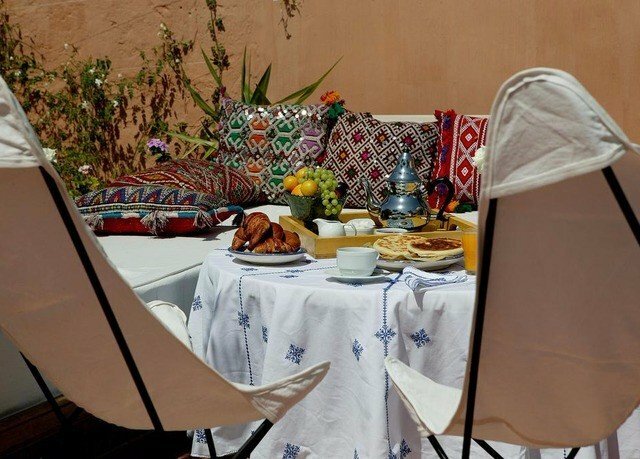 Post-sightseeing, head back to this charming little hideaway to sweat it out in the Hamman, sip endless cups of mint tea on the sun-soaked terrace, savour home-cooked Moroccan cuisine, and enjoy all sorts of spa pampering. 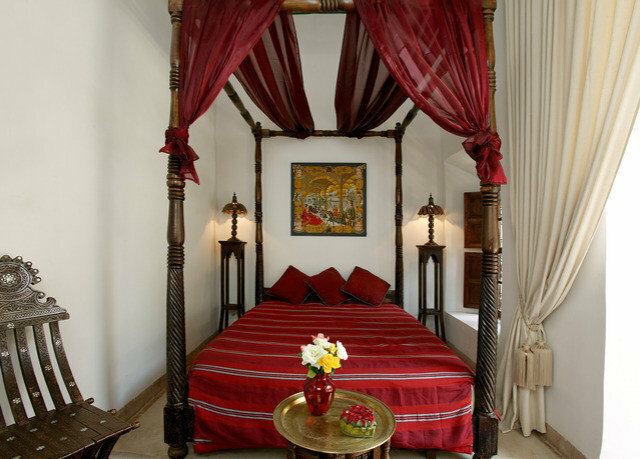 We could not fault our stay at Riad Safar. 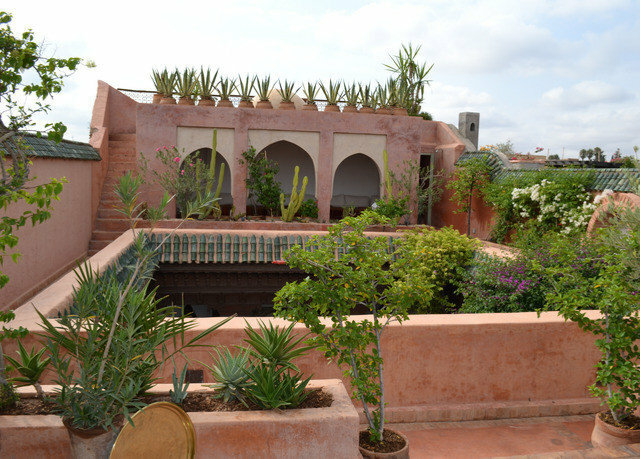 Hamid came to collect us from a drop off point - we would have definitely not found the Riad on our own and we were welcomed with tea and coffee in a beautiful setting. 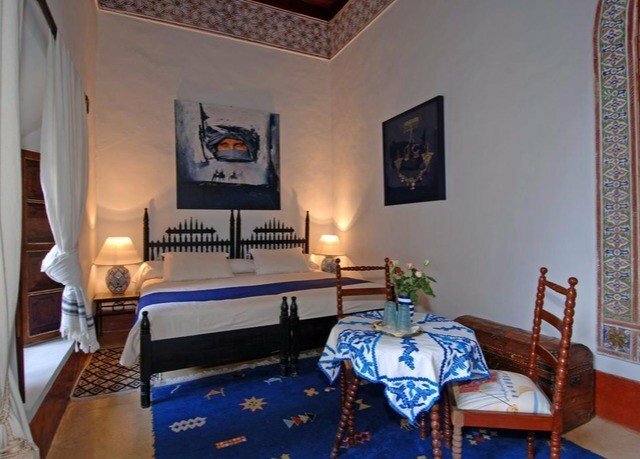 The Riad is peaceful and in a great location, room was beautifully decorated and clean, and the staff was very helpful and friendly. 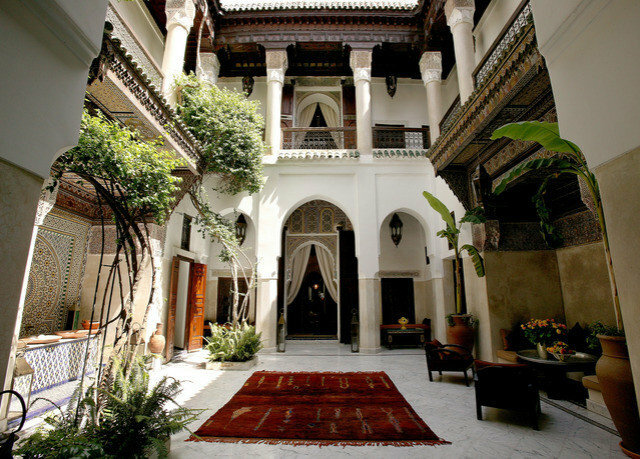 Our flight wasn’t until late at night and we were able to leave our bags in the Riad and even got to relax and have some mint tea when we went back to collect our bags. As other reviewers have said the staff doesn’t speak English but that was not a barrier for us to communicate effectively. Breakfast was lovely but mostly sweet things - which my partner loved but my taste is more for savoury and that is the only criticism of the place. 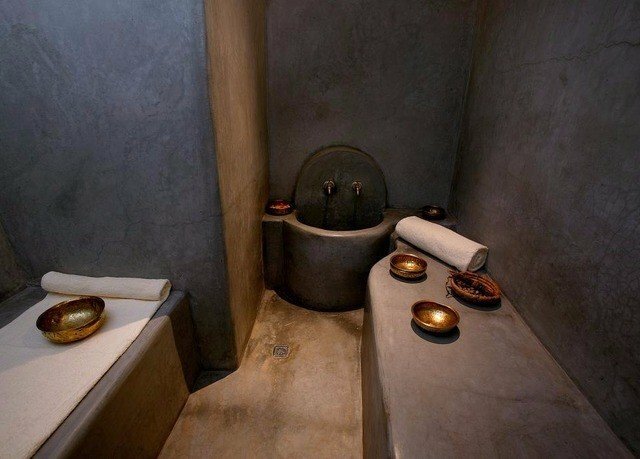 Would definitely go back and recommend this place for a great stay in Marrakech. 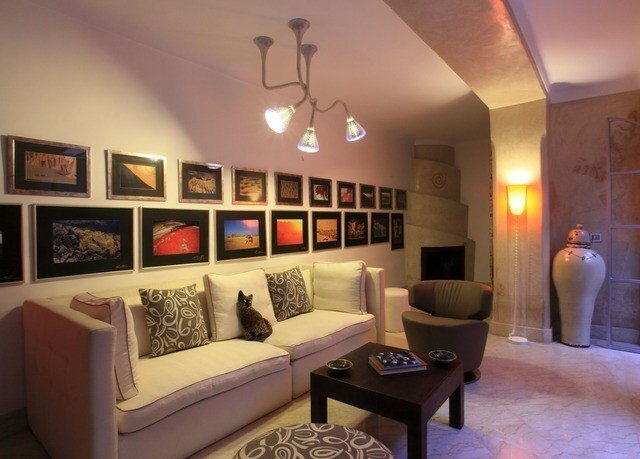 The room we stayed in was extroidinary beautiful. Like, a little cupboard that held our extra bedding was more beautiful than anything I have in my home. The rooftop is higher than surrounding buildings so you can get a decent view of the city. We stayed at a nearby riad later in our trip without as high a roof, and all we could see was sky, satellite receivers, and the sides of other riads. We ate dinner there too (lemon chicken tagine) and it was excellent. 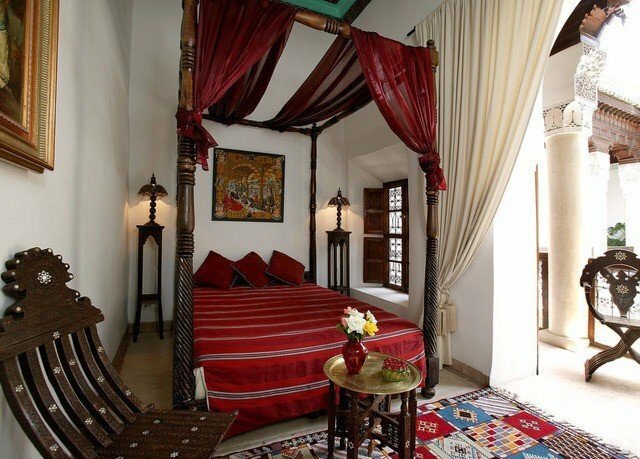 We stayed 3 nights at Riad Safar with our two children aged 10 and 11. 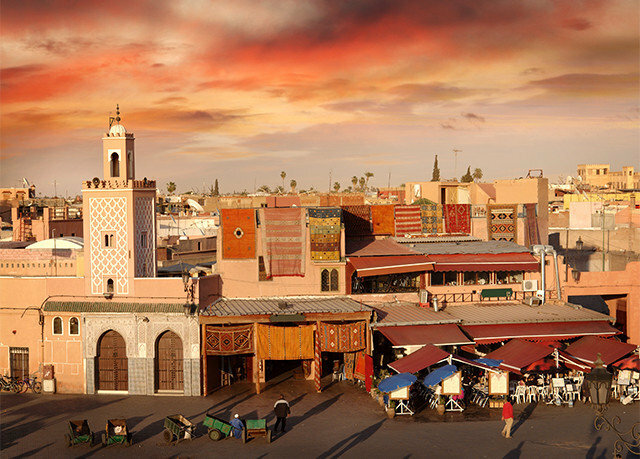 The location is excellent for exploring the Medina, with the closest gate and vehicle access just 5 minutes away at Bab Doukala. 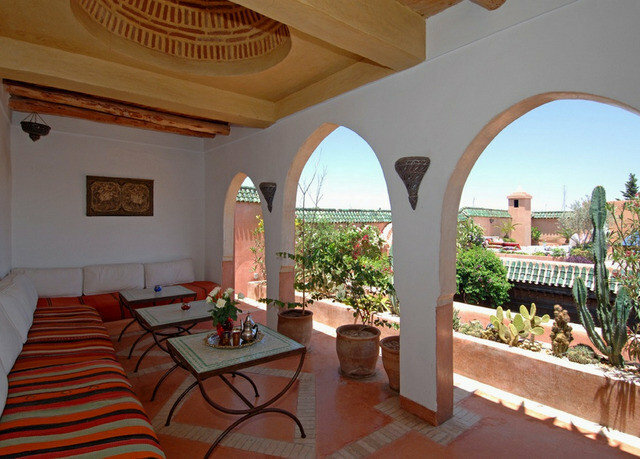 From the riad it is a 10 minute easy walk to the square. Our room was lovely, very clean and comfortable. The staff are very helpful and made sure we had everything we needed. 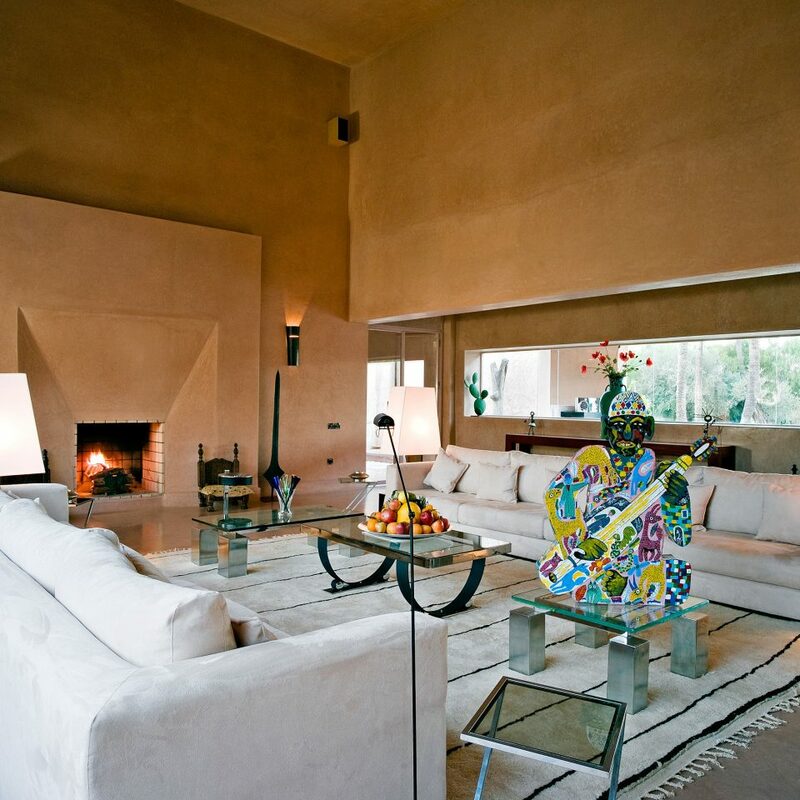 We were even able to have a log fire in our room in the evenings as February nights are cold in Marrakech. Whilst there is no room service, the staff were happy to provide tea and coffee when we wanted. 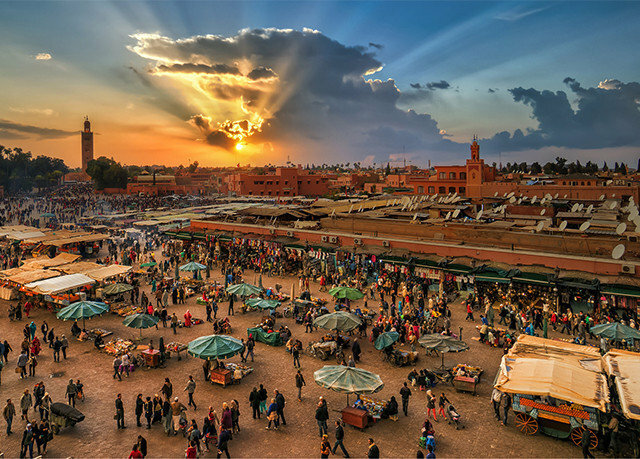 There is an option to eat dinner in the riad, although you need to let the team know by midday so they can go out and purchase ingredients. The meal we had was exceptional. The breakfasts were also very good. 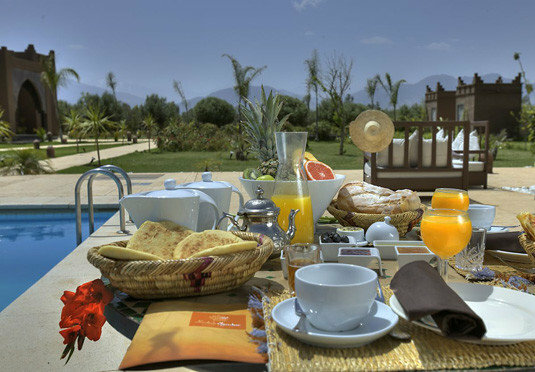 For first time Moroccan visitors you may like to know that breakfast is lots of mint tea and bread products. There is a small plunge pool on the roof terrace, beautiful but a bit cold to use in February. 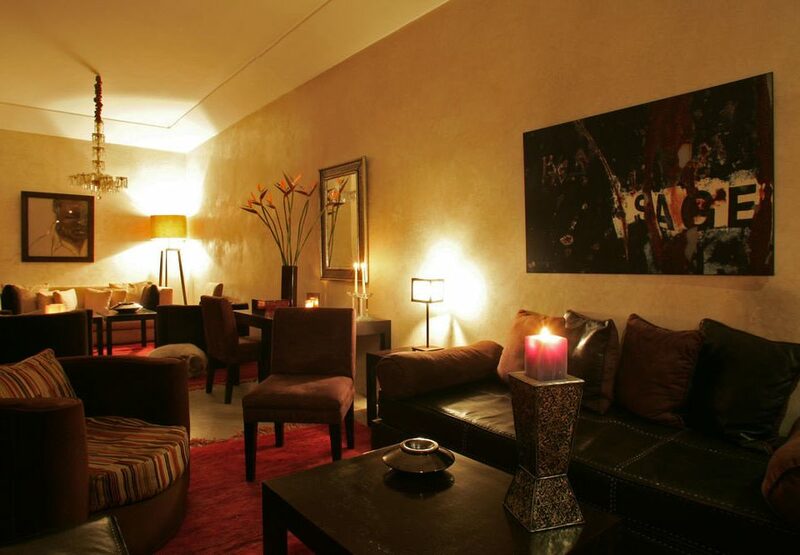 Just a couple of points to bear in mind, the staff do not speak English, so bring a French or Arabic phrase book. 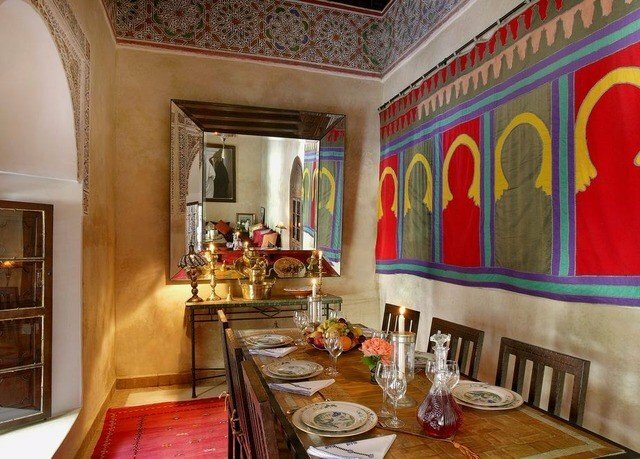 Terrasse des Epices restaurant is less than 5 minute walk from the riad - very good for an evening meal but expect to pay a bit more than you would in the Medina. Ticks all the boxes with really nice staff! 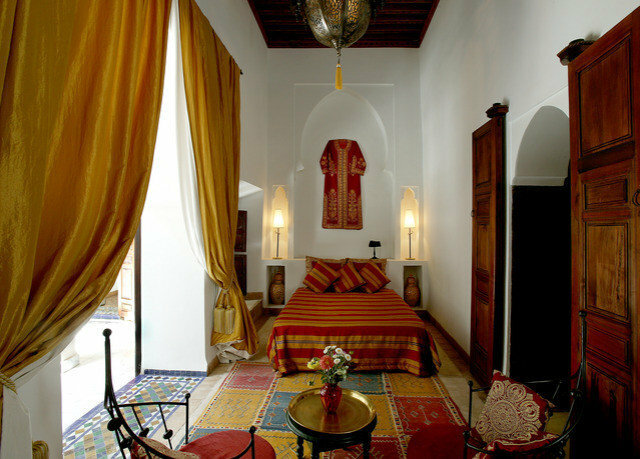 A delightful riad, just four guest rooms and very attentive staff (Hamid & Laaziza at the time we stayed). 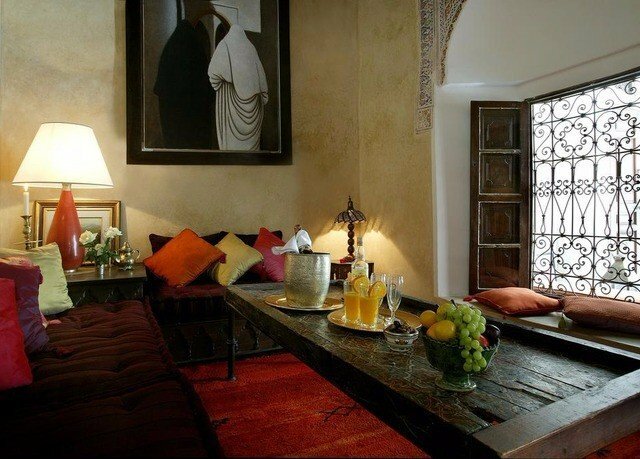 Great views from the roof terrace and perfect for sun bathing by the plunge pool, exceptionally peaceful in spite of the riad being situated centrally in the medina (it's off one of the main streets and a minute's walk through the alley ways - Derb Ouihah). We had a memorable four days stay, thank you.